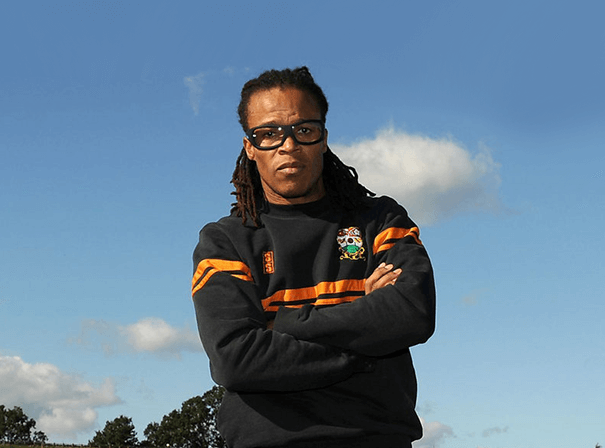 Retired Dutch footballer Edgar Davids has a whole career’s worth of knowledge and experience on which to draw when speaking and answering questions at after dinner events. In fact, having started his career as a midfielder with Amsterdam club Ajax, the tireless talent went on to play with Tottenham Hostpur, Milan and Juventus in Italy’s Series A, had a short loan spell with Spanish giants Barcelona and even a short but sweet period with Crystal Palace at the age of 37. With a fierce style of play and steely determination, Davids was always befitting of the “Pitbull” nickname awarded to him by then Ajax manager Louis van Gaal. Pair those characteristics with his long dreadlocks and the distinctive protective goggles he was given dispensation to wear during games due to glaucoma, and you have one of the most recognisable football players of his generation. In all Davids appeared in the Netherland’s famous orange shirt 74 times, and in 2010 was nominated by Pele as one of the greatest living footballers in the world. As combative without the ball as he was creative with it, the Suriname born midfielder managed to score 39 goals during his career. Such is his understanding and insight to the game that Edgar Davids is now on the supervisory board at Ajax with fellow legend Johan Cruyff. As a result, few professional sportsmen make as entertaining and informative a guest as this one, so get in touch with one of our agents now to arrange your booking.